Google Chrome 3 finally has come with the themes in its stable release and this will make the browser look better and sleekier if you are customizing it with the theme you like. 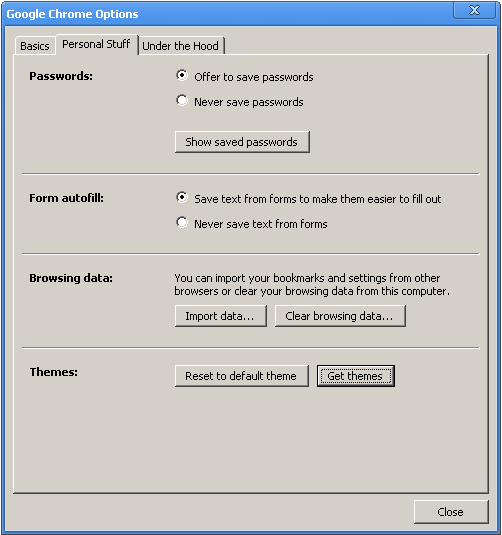 You will be taken to the themes page of Google chrome where you can download the themes and download them. Or you can directly go here to go the page. In that page you can preview the theme by clicking on the thumbnail, and if you like it then hit Apply Theme if you want to install the theme for your browser. The theme gets downloaded and automatically installed when you hit the Apply button and if you wish to delete it that instant, then hit the Undo button in the top right side. 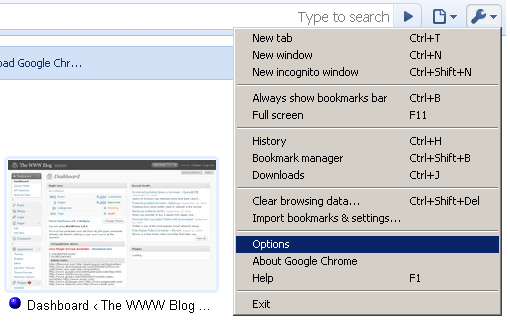 If at all you wish to restore to the normal theme which you had with Chrome, go to the Personal Stuff tab in the Options, and hit “Restore to default theme” and you would be seeing the normal bluish theme which is the default theme. Is it not possible to get custom themes done and installed on chrome? 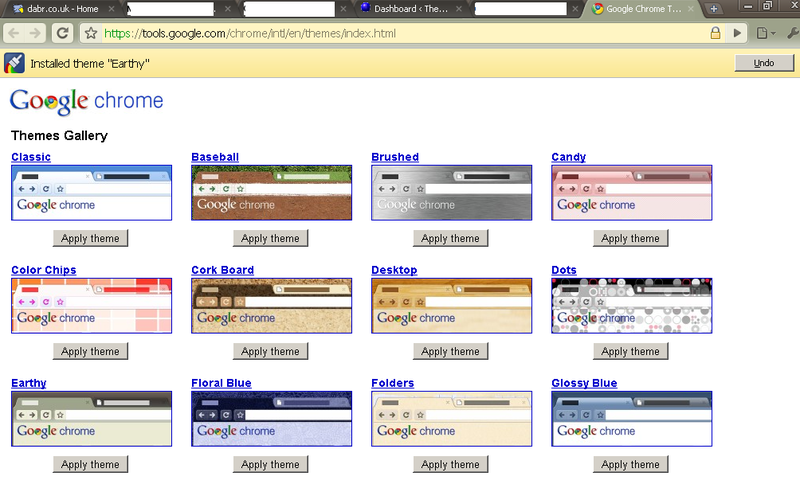 Or, are the ones Google provides the ONLY themes you can download for Chrome? the tutorials are really nice and was useful for me a lot.